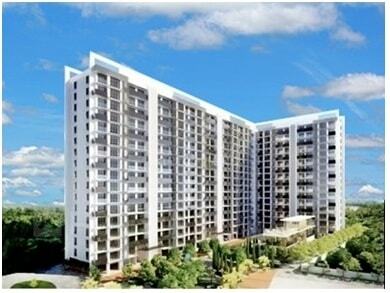 The Tripolis is the latest residential project at Goregaon West in Mumbai by Ekta Developer. Ekta Tripolis is one of the popular residential structure of Ekta Group. The project is offering 2 BHK Gracia, 3 BHK Elegant and 3 BHK Grande apartments that are super luxury homes for comfort life living for the residents. The Tripolis is designed with multitude of amenities spread over 3acres of area having 36 residential storeys into the rapidly transforming suburban styling. Ekta Tripolis is a residential project located at Goregaon West in Mumbai. Ekta Tripolis outshines the skyline which consists of three towersnamed Theopolis, Caleopolis and Skypolisstretching over 36 storeys. Tripolis residents gives choices in formats of 2 Bedroom flats & 3 Bedroom flats. Ekta Tripolis stands 36 storey tall comprises of total of 612 residences apart from four parking levels. Each floor has six apartments and four elevators including a service elevator.2 BHK has a carpet area of 698sqft. 3 BHK has a carpet area of 836sqft and 1002sqft. Goregaon East is connected by the local BEST buses that connect it to the various parts of the city. It is closest to the Goregaon Railway Station, which lies just three kilometres away. Public transport is available at all times on this side of town. If you are travelling by train, remember that the trains headed for Virar would skip Goregaon while the ones going to Borivali have a halt at the station. The proposed Goregaon-Mulund Link Road will increase the accessibility to central suburbs. The upcoming infrastructural developments like Oshiwara flyover and the Metro phase II will be an added advantage for transport making it the most sought after location. The Tripolis development location is at New Link Rd, Siddharth Nagar, Goregaon West, Mumbai, Maharashtra. Table tennis, chess, multipurpose court, snooker table part of the clubhouse, open Jacuzzi, children's play area with playing equipment, outdoor chess board, clubhouse, swimming pool, kids pool, mini-open amphitheater, squash court, swinging corner, maze garden, lawn, landscaping, jogging and walking track, rainwater harvesting, energy management&fitness facilities such as meditation and tranquillity garden, gymnasium with fitness equipment, yoga plaza, children play area, etc. Schools/Colleges : - St. Thomas Academy, Vidya Vikal Universal College,Jawahar Vidyalaya High School, Lords Iniversal College, St. Pius X College,St. John’s universal School, VIBGYOR High School. Shopping Malls: -Rolex Shopping Centre, The Hub Mall, Oberoi Mall, Harmony Mall, City Centre. Hospitals: - Matushree Gomati Hospital, Vardan Hospital, SRV Hospital, Shree Sai Clinic, Siddharth Municipal General Hospital. Railway Stations: -Goregaon Railway Station, Jogeshwari Railway Station, Andheri Railway Station. Restaurants: - Trishna Sea food, Hotel Tatus Nook, Sai Veg World, Udipi Vihar, Sahil Hotel. Movie Theatres: - Big Cinemas Moviestar, Cinepolis, Mukta A2 Cinemas, Cinemax, Miraj Cinemas. Banks/ ATMs: - Bank of India, HDFC Bank, Bank of Maharashtra, Mumbai District Central Co-operative Bank Ltd.